Disclosure: This post was sponsored by Best Buy Blogger Network. Has the cost of your cable bill gone through the roof? Are you tired of paying for channels that you never watch? Well here is a cable alternative that you should take a look at. It's called Google Chromecast and it is streaming media player. All you have to do is plug Chromecast into the HDMI port on your TV and also to a power source. Once it is set up you can stream your favorite entertainment right from your phone with just a tap. Watch shows, listen to playlists, and more. A bonus is that while you are streaming, you can still use your phone as you normally do. Of course, paid subscriptions are required to view some of the content. One nice feature of Google Chromecast is that you can start streaming by speaking commands. The best part is that you can expand your home entertainment without buying a new TV. And it's so affordable you can get one for every TV in the house. 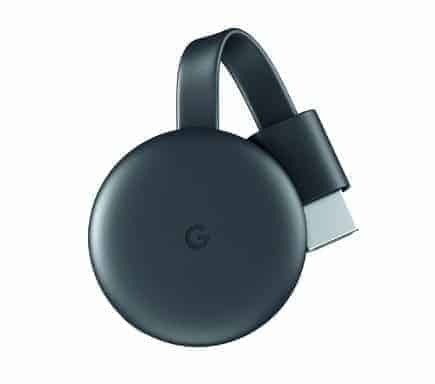 Google Chromecast easily connects to high-definition televisions with HDMI connectivity. Google Chromecast has built-in 802.11ac Wi-Fi. So it connects to the internet through your wireless home network (wireless router required and sold separately). Take a look at Google Chromecast for yourself. Stream and pay for only the content and the apps that you want. And get rid of the high cost of cable.